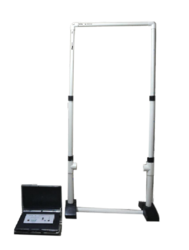 We offer to our clients superior quality of Walk Through Metal Detector. 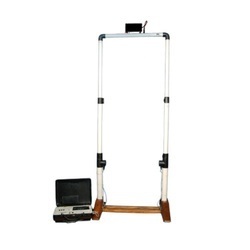 This detector is used for the detection of metal and alloy articles concealed in human body. It is highly safe, widely applicable and highly sensitive with a wide detecting range and a good anti-interference capability. Detection of : Detects all types of metal viz: Ferrous, Non Ferrous, Metal Alloys, Copper, Zinc, Brass, MS, Aluminium, Gun Metal etc. - Weather proof (for outdoor use)-PVC coated frame with FRP caps for side panels. - Detect all metals & ferrite. - Equal sensitivity for ferrous & non-ferrous metals (Note-conventional detectors having 40% less sensitivity for non-ferrous metals). Our range of metal detector door is highly sensitive and ideal for detecting metals. Easy to install on entry and exit doors, manufactured using excellent raw materials, these are in high demand because of their functionality and fault free use.